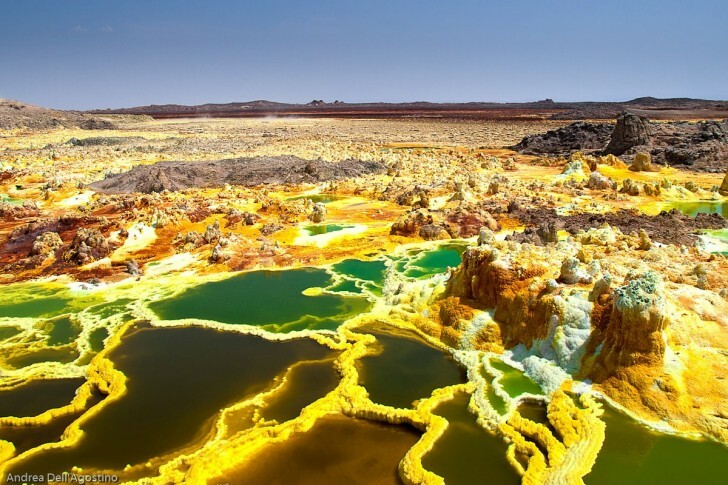 Dallol Volcano, Ethiopia | 10 Most Alien Landscapes From All Over the World! 10 Most Alien Landscapes From All Over the World! 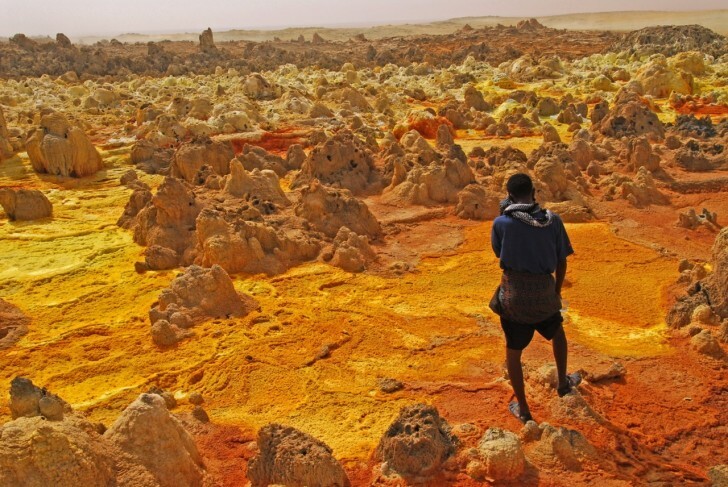 Dallol is a sleeping volcano in Ethiopia near the abandoned African village. Dallol is known of its unbelievable landscapes which resemble the Io, yellow-green satellite of the planet Jupiter. The hot springs of the volcano wash potassium, manganese and iron, that's why the surface is covered with every color of the rainbow. Dallol is deservedly considered one of the most extreme places in the world because of its heat. Local people believe that the crater of the volcano is the gateway to hell. This place is perfect for single tourists, every person will get a chance to feel like a pioneer here. Fail! The Mirrors Do Not Lie!